Weird Things Humans Search For was kindly provided by Big Potato Games for free. 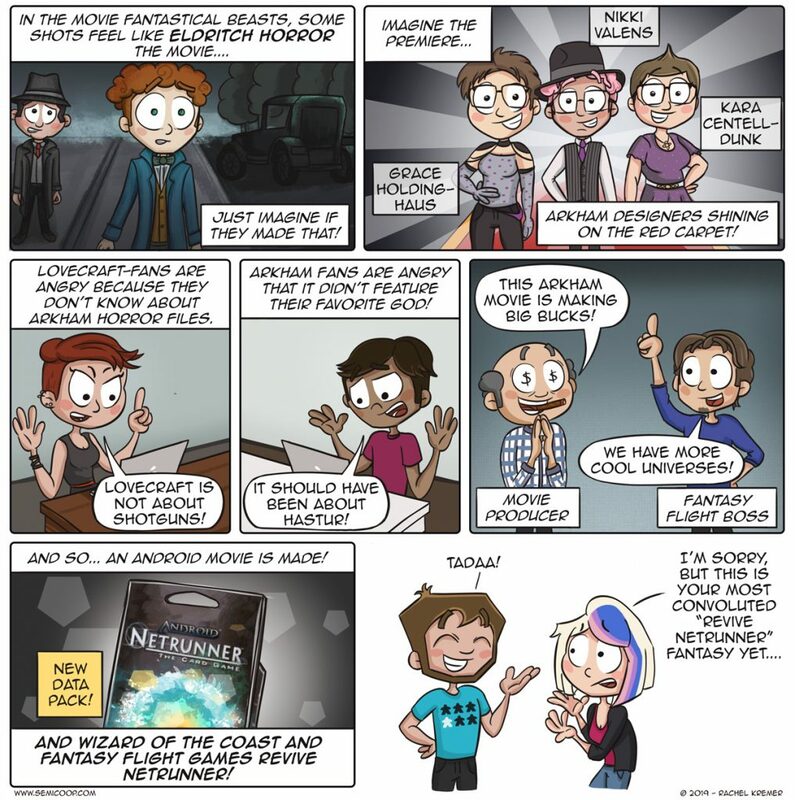 We thank them for giving us this game which led to this comic! For more information on how we deal with gifted games, please see our FAQ! At the UK Games Expo, we were given a copy of Weird Things Humans Search For. We don’t play many party games, but playing the demo was really fun. Since then we’ve played it with four players, which was nice but next time we want to play it with a large group of people in teams and play it pub-quiz like. We believe it could be even more fun if people can discuss possible answers. The idea of the game is very simple. Players are given the first half of the most (weird) popular searches on the internet and have to guess what people actually search for, the higher their guess is on the list, the more points you score. One thing we learned from playing the game: Humans are indeed very weird. We still have a bunch of unplayed games we need to play (soon!). Seals of Chtulhu, Odin’s Ravens, Spoils of War, Zombology and the Telly Times expansion for The Networks. I can’t wait for our holiday to begin so we have time to play all of the amazing games. What other searches would start with ‘What board game…’? my search is what board game can I beat Dave Luza at? Must I admit that I bought Gloomhaven partly because it begs for a custom storage solution? What board game has the most beautiful cover artwork? In this party game, players are given the first half of a popular internet search and they have to guess the rest. The higher their guess ranks on the list, the more points are won! A game that'll show that humans truly can be weird.